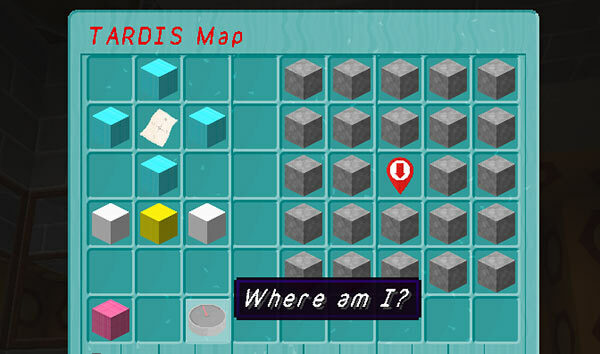 The TARDIS Map lets you find your location in the ARS grid. To open the map, you first need to open the Player Prefs Menu by right-clicking AIR with the sonic screwdriver. Once open click the map button in the GUI. The map controls work in a similar way to the ARS GUI.